Avery Publishing Group, 9781101982839, 304pp. Using her own family's story, the latest science of cancer genetics, and her experience as a practicing physician, Ross shows readers how to spot the patterns of inherited cancer, how to get tested for cancer-causing genes, and what to do if you have one. 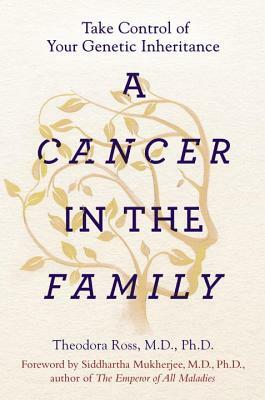 With a foreword by Siddartha Mukherjee, prize winning author of The Emperor of All Maladies, this will be the first authoritative, go-to for people facing inherited cancer, this book empowers readers to face their genetic heritage without fear and to make decisions that will keep them and their families healthy. Theo Ross, M.D., Ph.D., is a professor of internal medicine and the director of the Cancer Genetics Program at the University of Texas Southwestern Medical Center. Ross is a leading researcher on cancer susceptibility genes, as well as a practitioner who specialized in treating breast cancer for more than a decade and now cares for all types of patients who have a family history of cancer. She is also a carrier of a cancer-causing mutation.